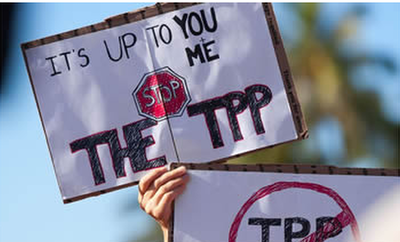 ,TPP has the potential to impact agriculture and food systems on a large scale. There isn’t a single TPP chapter on agriculture in TPP; rather, issues impacting food and agriculture are scattered throughout the deal. Statement by Demos, Thomas Hedges- TPP Will Supersede Domestic Law In Favor of Corporations. Statement from Sierra Club - Trans-Pacific Partnership - Wrong Trade Deal for the U.S.
"... the United States may see cumulative GDP gains of 0.13 percent by 2025 if the TPP were implemented.2 This figure is meaninglessly tiny in almost any reasonable context." James Trimarco claims that "The Trans Pacific Partnership is likely to be a setback for efforts to regulate and label GMO foods" in this article from Yes! magazine. TPP rules could block alcohol warning - Australia has been working to implement health warning labels on alcohol but proposed TPP rules could prohibit effective labeling. The "Trade" deal that could inflate your healthcare bill. 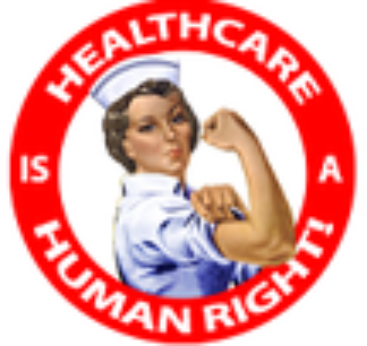 The TPP threatens to chill American government proposals to rein up exorbitant medicine prices. How patent rules could keep new hepatitis drug from saving "millions of lives"
TPP Negotiations and the Controversial Issue of Pharmaceutical Test Data Protection by Mike Palmedo. This is a very detailed look at the problem which will result if the present content of the TPP regarding access to generic medicines is not changed. Letter signed by AARP, AFSCME, Consumers Union and others pointing to dangers posed by non-transparent negotiating process and TPP provisions regarding data exclucivity. Includes note of specific American laws which could be challenged under existing US So. Korea Free Trade agreement and the TPP proposal. From the Public Banking Institution - Is the Trans-Pacific Partnership a Danger to Public Banks? Many people fear that secretive trade talks with corporate lobbyists may prohibit public rights to control common assets. Posted March 9, 2013 Peril in the Pacific - No to the TPP This video from Friends of the Earth covers how the Investor Protection Clause of the US Ecuador Free Trade Agreement has been used to undermine environment protection in Ecuador. Details the case of Chevron v Ecuador and how the agreement's investor protection clause is used to undermine democratic decision making. Feb 23, 2013 Public Citizen issues a report on the Korea, Panama and Columbia free trade agreements enacted last year. The report notes that, while the agreements were supposed to increase American exports to South Korea, improve the position of labor in Columbia and increase tax haven transparency in Panama, exports have decreased, death threats on unionists in Columbia have continued, and no progress has been made on transparency. Read their report here. Feb. 17 2013. Exec Director of Citizens Trade Campaign is interviewed by David Delk host of Alliance for Democracy - Populist Dialogues on the Trans Pacific Partnership. Feb 13, 2013 Oregon Senator Merkley Calls for New Approach to Labor and Environmental Standards and Crackdown on Unfair Foreign Subsidies in Upcoming Trade Agreement. Read More. Global Investment Rules: Threat to Democracy and the Environment Video covers three specific corporate challenges to environmental and health laws before the international trade tribunal, the ICSID. One is the case in Bolivia about Bechlet and water rights; a second is about gold mining in El Salvador; a third concerns cigarette labeling in Uruguay. Also talks about how people and nations have responded to these pro-corporate trade agreements. 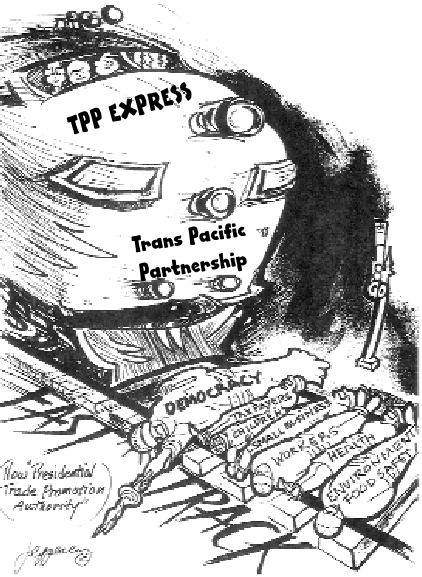 On March 4, 2013, members of Congress received copies of a letter signed by over 400 organizations, representing over 15 million people, expressing their opposition to Fast Track Authority for the president to negotiate the Trans Pacific Partnership and calling for a new direction in trade agreements. 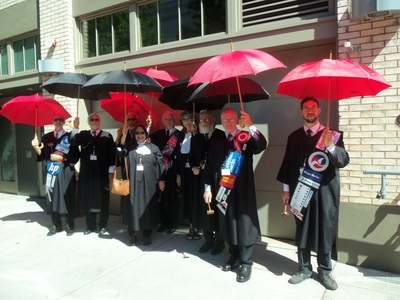 29 of those organizations were here in Oregon including the Alliance for Democracy, Move to Amend PDX, Economic Justice Action Group of the First Unitarian Church. Read the letter here.